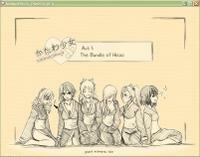 First, we have the eyecatch for Act 1, entitled 'The Bundle of Hisao', it features art by lulz. 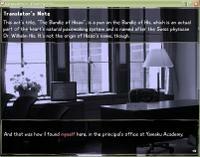 Next, we demonstrate the user interface and provide an explanation of what the title means. Edit, updated with links to higher-res versions.